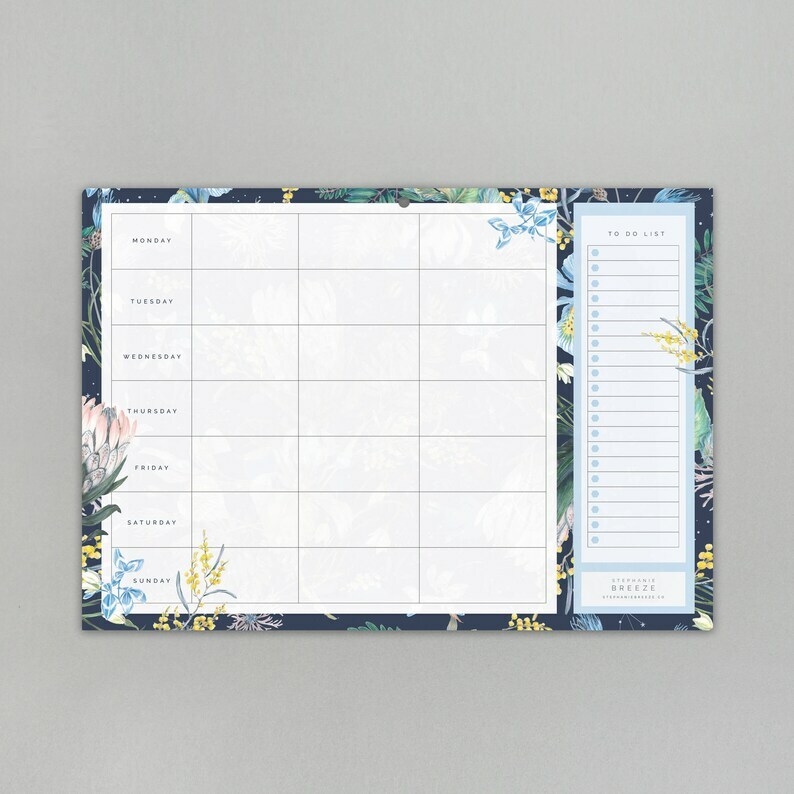 This planner is the ultimate desk accessory to keep your weekly tasks, meetings and occasions all in one place. A perfect gift for those that love to be organised or those that need some help! A4 29.7cm x 21cm with a Monday to Sunday columns for meal planning, or events or both and a separate space for shopping & to-do lists. Each weekly planner pad comes with 52 tear off pages. All our planners are printed using sustainable inks and recycled paper.